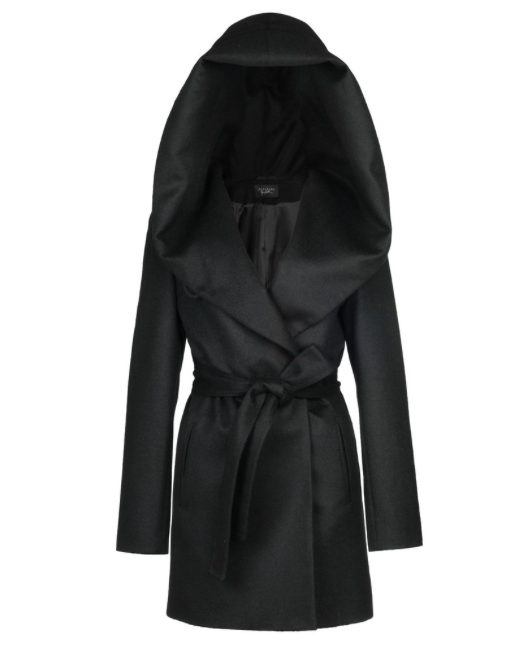 This wrap coat has the Sentaler signature oversized hood that folds into a beautiful collar. The hooded-collar can be worn in so many different ways. This coat is warm, lightweight and soft to the touch. As seen on Meghan in March 2017.